A not to be missed event exclusively in London! A unique opportunity to experience Argentine Tango music played live by a contemporary tango orchestra. 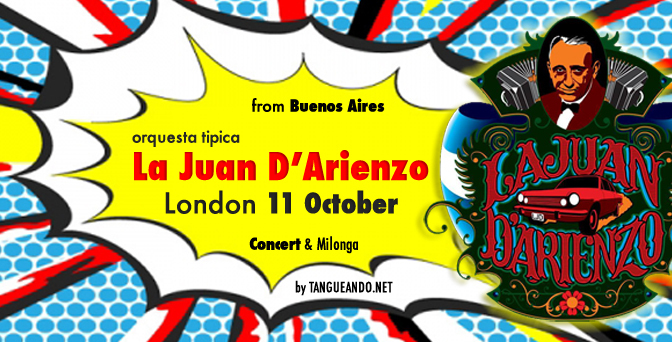 The ten-piece orchestra, La Juan D'Arienzo, famous in all the milongas of Buenos Aires and around the world will be in London for their one and only performance in the UK! Tickets are available for those who wish to take part in the dancing and also for those who would like to only watch the performance. Marcelo Rojas is the DJ of «La 2x4», the Tango Radio of Buenos Aires and has over 20 years of experience. 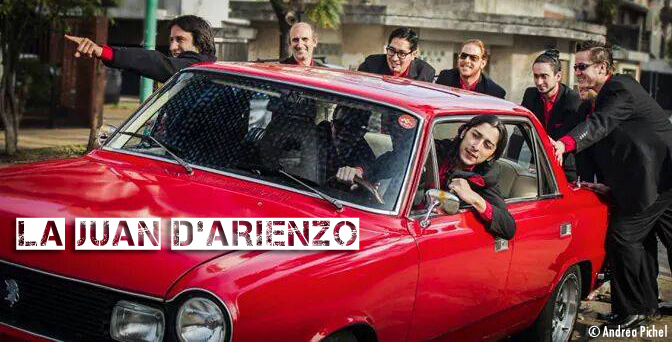 The dance floor will not be missing the "Fantastic 4": D'Arienzo, Di Sarli, Pugliese and Troilo. Marcelo will be playing a selection of great tangos for about 3½ hours, before, between and after the 2 sets of the live concert. We have, therefore, employed the services of an industry leader in professional concert sound systems with experience in organising some of the biggest concerts in the country. The venue runs a fully-licensed bar which serves food, wine and spirits. This will be a unique experience for tango addicts who love dancing to the music of Juan D'Arienzo but also a new experience for the general audience, who will be immersed in an astounding audio and visual experience – seated at balcony level and able to enjoy the performance of the orchestra whilst also watching from above hundreds of dancers dancing the Argentine Tango in the dance floor below. In 2014, the orchestra toured part of Europe and Brazil; it has already visited Asia this year and is preparing a new European tour for the second half of 2015. In a very short period of time, the orchestra has become a worldwide success. They are now about to undertake their second European Tour, during which they will act as Argentine cultural ambassadors for the art of tango, which has been designated as part of the Intangible Cultural Heritage of Humanity by UNESCO. Our goal is to spread knowledge and understanding of Argentine Tango and the culture behind it, so that its rich cultural heritage can be better understood. In this way, through the music and dance of Tango, we hope to build a cultural bridge between the UK and Argentina and connect with each-other within the tango embrace.